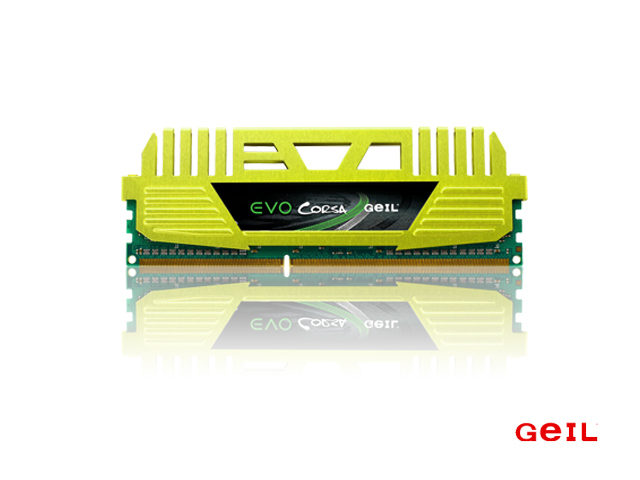 Designed for the latest enthusiast desktop setup, the GeIL EVO CORSA series is the marriage of performance RAM for the 2011 socket CPU lineup. Featuring quad channel memory in kits of either 8GB or 16GB, this 1866MHz+ stock memory is sure to support the power of the latest CPU offering from Intel. Every module produced at GeIL undergoes rigorous in-house stress-testing to ensure you receive a functional product, ready to drop into your latest motherboard purchase. This DBT Enhanced process ‘burns-in’ the memory modules at the factory to ensure your RAM is primed to perform. The green metallic heat spreader and oversize cooling fins are a great finish for RAM that will operate in an overclocked scenario. The EVO CORSE series is designed with another important feature from GeIL: MTCD – Maximum Thermal Conduction & Dissipation. The heat spreader Today we will pair the 16GB 2133Mhz stock (PC3-17000) kit consisting of four x 4GB DIMMs, with the ASRock X79 Extreme9 motherboard and Intel® Core™ i7-3820 processor. This combination of the latest components should yield a high performance rig worthy of any gaming or high productivity setup. 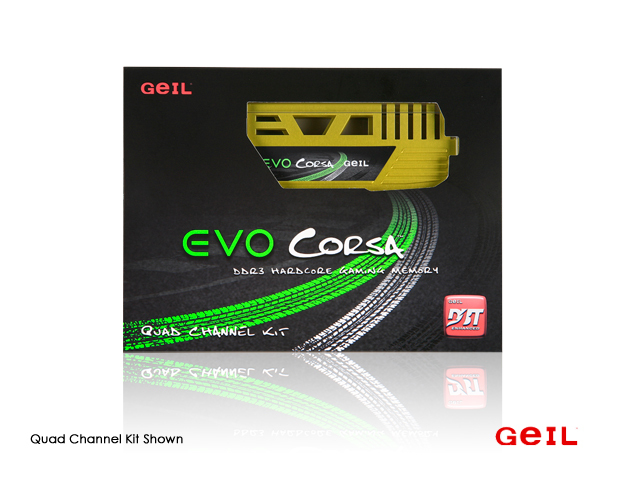 Corsa, the Italian word for “race”, hence the name for the 3rd generation of GeIL’s DDR3 Gaming Series Memory – EVO CORSA, which symbolize extreme speed as a race car on the track. The Metallic-Amazon-Green finish of the EVO CORSA heatspreader is derived from the famous German race track – the Nurburgring a.k.a. “the Green Hell”. The CORSA Heat-spreader is designed with MTCD – Maximum Thermal Conduction & Dissipation for superior cooling performance. Ranging from DDR3 1866MHz and up, the EVO CORSA is designed for the latest Intel & AMD chipsets for maximum performance and compatibility. EVO CORSA is the new DDR3 performance benchmark.